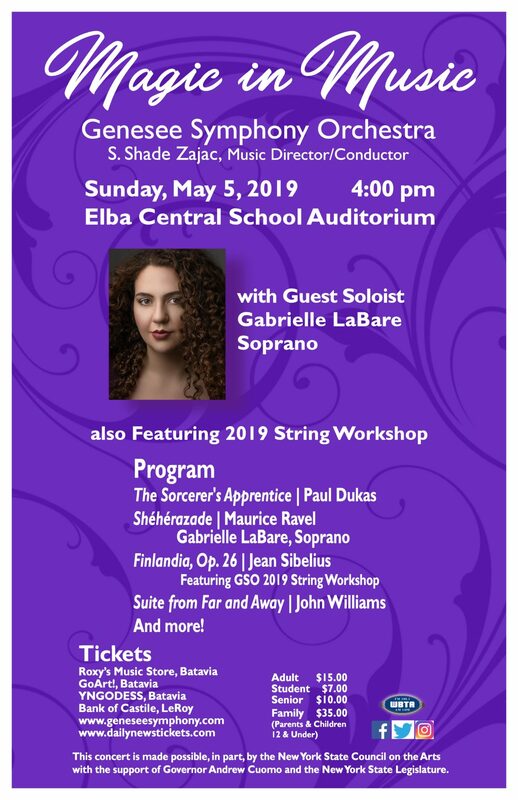 Genesee Symphony Orchestra is a dynamic, regional orchestra that presents an ambitious portfolio of concerts for the enrichment of our community through high-quality performance, educational opportunities, guest artists, and partnerships. Founded in 1947, it is one of the oldest civic orchestras in New York state. The GSO mission – to link a diverse public with the arts – is paramount to everything we do. From their annual Meet the Orchestra event to the Young Artist Competition and String Workshop, the GSO engages the community and brings a distinct awareness of the arts to our rural region.